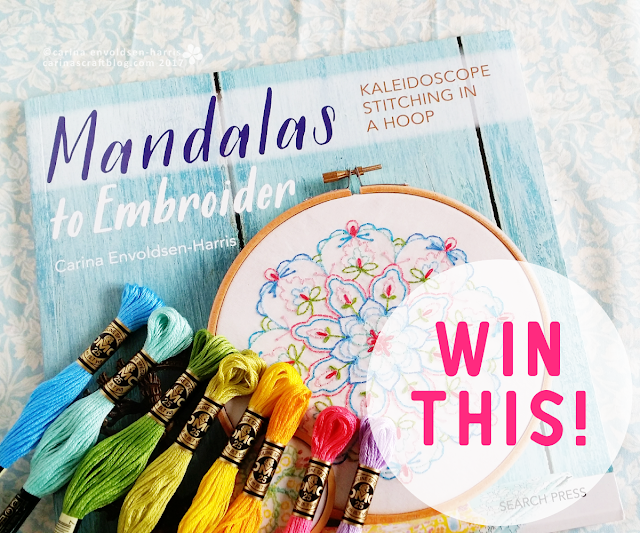 A reminder to enter my giveaway of a copy of Mandalas to Embroider and embroidery thread: the giveaway closes in about 4½ hours as I’m writing this. So go enter now if you want a chance to win. However, if you missed my giveaway, head over to Follow The White Bunny where my friend Nicole is giving away a copy of the book (without thread, I’m afraid).